ChargeIt by Jay Gold Mosaic Round Charger Plate 12"
Home > Products > ChargeIt by Jay Gold Mosaic Round Charger Plate 12"
Provide guests with an elegant dinner service by presenting multiple courses on the ChargeIt by Jay Gold Mosaic Round Charger Plate 12". 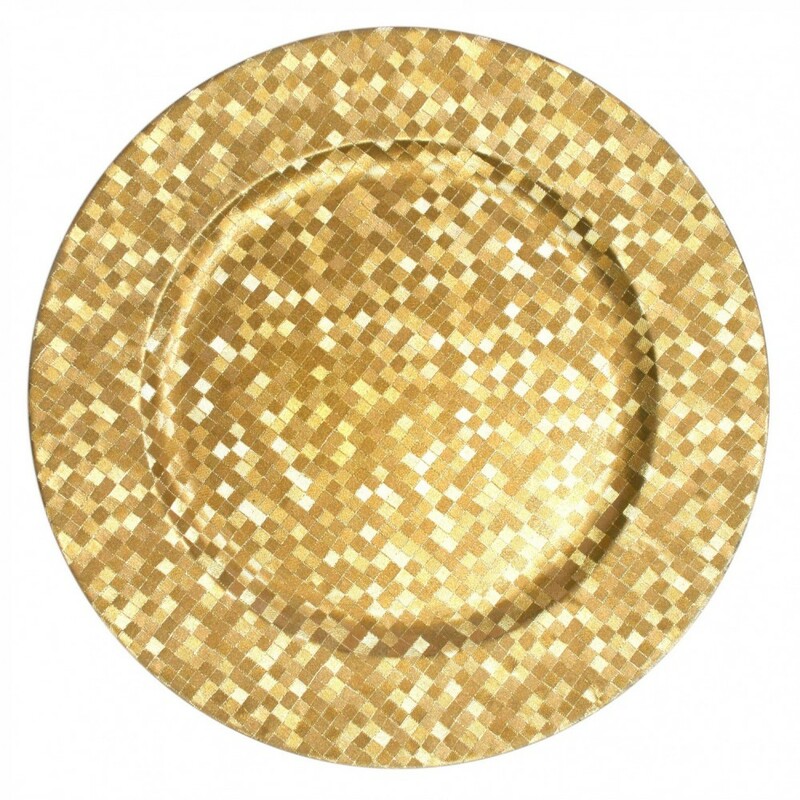 Primarily designed to add an elegant and stylish touch to any table setting, this charger plate boasts an eye-catching, sparkly gold mosaic design for an upscale look. Made from high quality melamine, this elegant charger plate boasts unbeatable durability and product life. Perfect for receptions, banquets, or lavish parties, it not only complements your dinner setting but also protects against spills and mess.